Why is Porsche Called Porsche? Ferdinand Anton Ernst “Ferry” Porsche founded Porsche Konstruktionen in Austria in 1947. It was under Ferry’s leadership that Porsche automobiles were created. However, the Porsche name in automotive history dates back to 1898. Ferdinand Porsche, Ferry’s father, was an inventor and engineer. He created the first electric vehicle in 1898. He served as Technical Director at Austro Daimler from 1906 to 1923 where his numerous firsts in automotive, rail, and aircraft engine development earned Porsche a place in engineering history. He moved to Stuttgart in 1923 to work at Daimler-Benz and is credited with developing the famous S, SS and SSK models. Ferdinand left Daimler in 1931 and founded his own consulting company, Dr. Ing. h.c. F. Porsche GmbH, Konstruktionen und Beratung für Motoren und Fahrzeuge (Dr. Ferdinand Porsche LLC, Construction and Consulting for Engines and Vehicle). Ferry shared his father’s passion and worked alongside him at the Porsche consulting company. Porsche was awarded the contract to build the German government’s “People’s Car” in 1934. This practical, economical car, intended for mass production would become the Volkswagen Beetle. The project came to a halt at the start of World War II. Porsche worked in Stuttgart developing tanks and other machinery for the Third Reich. Nearing the end of the war, the Volkswagen factories were destroyed by Allied forces. Ferdinand Porsche, nearly 70 years old, was arrested in 1945 and served a 22 month prison sentence for his involvement with the Nazi Party. He was later acquitted of all charges. In 1947, Ferry established Porsche Konstruktionen in Gmünd, Austria to protect the Porsche Company and his father’s work from being taken by occupying forces. He pursued his lifelong dream of building an extraordinary car with the Porsche name. Ferry designed the hand-built Porsche 356 in a sawmill in Gmünd, Austria using Volkswagen parts. Production capabilities were limited and only 53 cars were built. In 1950, Porsche moved back to Stuttgart and in their first year, they produced 217 of the new 356 models. In 1951, Porsche entered the famous 24 hour LeMans Race at the suggestion of their French importer. The 356s had a strong finish and the following year Porsche placed a noteworthy 11th. These respectable finishes captured international attention. Why is it called Porsche? US Auto Importer Max Hoffman positioned Porsche with other exclusive European luxury brands in his Park Avenue showroom. Hoffman cultivated the idea of Porsche as a “Car or the Connoisseur.” His insight into creating a lightweight model tailored to the US market was spot on. By 1955, the US accounted for more than fifty percent of overall sales. In 1951, Hoffman suggested Ferry create a quality seal for his cars. Designer Xavier Reimpiess and Advertising Director Herman Lapper developed a crest that evoked a mystique of history, tradition, and craftsmanship. The Porsche crest contains elements from two regional coat of arms, Württemberg’s antlers and stripes, and the capital city Stuttgart’s horse. The badge is meticulously crafted, illustrating Porsche’s ardent attention to the smallest detail. The emblem made its first appearance in 1952. SEE ALSO: Why is Pagani Called Pagani? 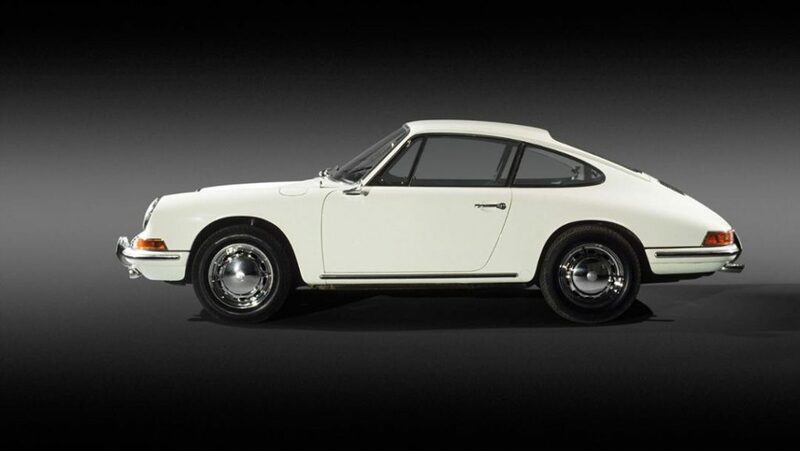 The emergence of the Porsche 911 in 1963 was a perfect follow up to the 356. The 911 was designed by Ferry’s son, Ferdinand Alexander “Butzi” Porsche. It’s signature clean lines, powerful performance, and classic sensibility has made the 911 a staple of Porsche’s lineup for 55 years. To learn more about the world of Porsche, visit The Porsche Museum, a must for car and design enthusiasts. Do you have a Porsche story? Share it with us! Comment below.